Deciduous forests are found in more temperate climes and are home to a wide variety of plants and animals. What can we do to limit our impact on these ecosystems? In the UK, deciduous forests have declined drastically within the last 5000 years, now covering just 10% of the land. The declining deciduous forests are now subject to preservation measures, aimed at conservation of the ecosystem. Pollarding, the pruning of trees to encourage growth, has provided a lasting home for birds, insects and fungi in Epping Forest. In the New Forest near Southampton, controlled grazing and restricted recreation allows flowers to flourish. Deciduous forests are found in many parts of the world, including Europe, North America, Asia and Australia. 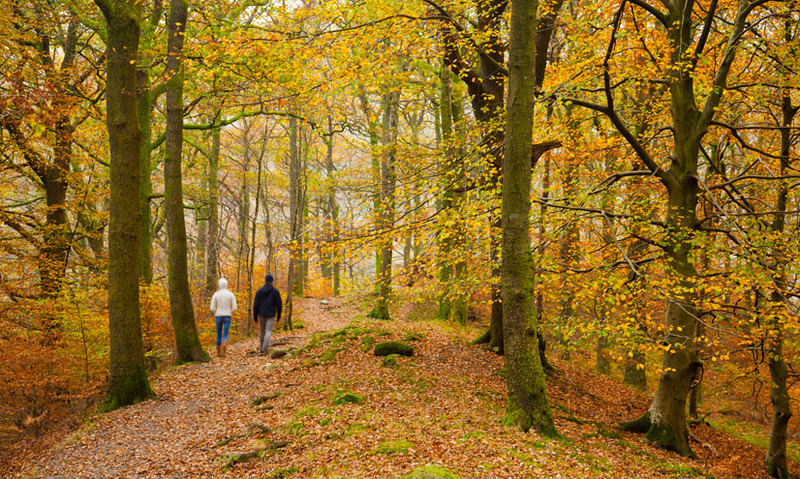 Characterised by their distinctive seasons and milder climate, these forests can be found in close proximity to more built-up areas and are often popular recreational attractions.